The EY Centre is Ottawa’s largest exhibition facility with over 150,000 square feet of column free space. It is well located; easy to find for show visitors and has lots of inexpensive, easy to find, on-site parking. The show space and the docking area is on the same level so move-in and move-out for the Show is fast and easy for you and your staff. There are 7 ski resorts in Eastern Ontario and Western Quebec within a 1 hour drive of Ottawa; the proximity of these ski resorts has produced a large skier community in Ottawa. Admission to the Ottawa Ski Show is FREE and 8-10,000 skiers attend every year. 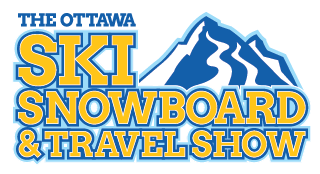 The Ottawa Ski Show provides Ski Clubs with complimentary exhibit space in the show for membership recruitment. The EY Centre is the preferred site for Ottawa consumer shows and now hosts the the Spring and Fall Home Shows, the RV Show, the Renovations Show, the Boat & Sportsmen’s Show, the Cottage and Country Homes Show, and many more. Ottawa is within a half-day drive from every major ski resort in Quebec, Maine, New Hampshire, Vermont and New York. And Ottawa has excellent plane connections to points all over North America. The Show will be anchored by a Supersale of equipment and skiwear from Ottawa retailers and a Swap of used equipment. This Show is open to any retailer and there are no restrictions on selling.